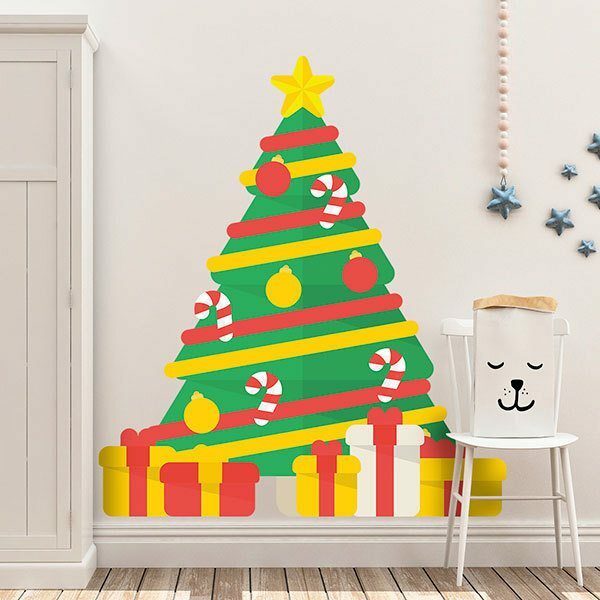 Kids wall sticker Christmas tree with gifts. Design of a Christmas tree decorated with the gifts Santa Claus has left under it. 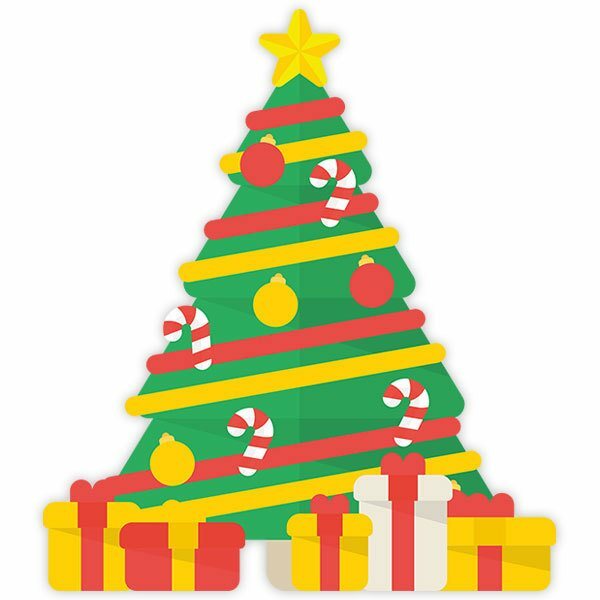 The tree has the star, several colored balls, sugar canes and garlands, under it we find 5 gifts. Decorate the entrance of the house or the living room. Size: 73 x 47 cm. 13.78 x 15.75 in. 17.32 x 19.69 in. 20.87 x 23.62 in. 24.02 x 27.56 in. 27.56 x 31.50 in. 31.10 x 35.43 in. 34.65 x 39.37 in. 38.19 x 43.31 in. 41.73 x 47.24 in. 45.28 x 51.18 in. 48.43 x 55.12 in. 51.18 x 57.87 in.